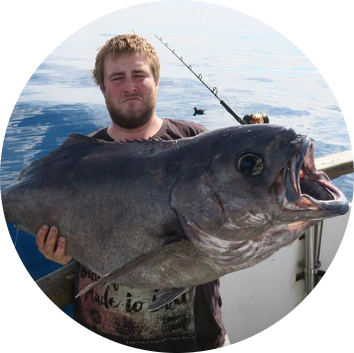 If you are looking for a great value fishing charter in the Bay of Plenty, you’ve come to the right place! Put yourself in the picture…..stunning scenery, white sandy beaches, rugged unspoiled islands. 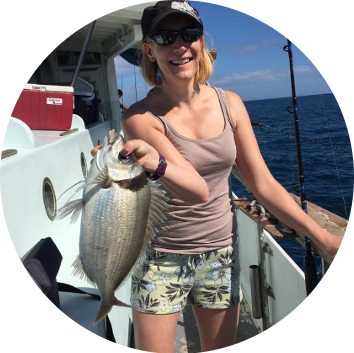 You are on a safe and comfortable charter vessel, the wind in your hair, the smell of salt air and a fish tugging at your line…..you are in paradise……..
With Blue Ocean Charters you can live the New Zealand fishing adventure. Blue Ocean Charters commercially ticketed Skippers are available to take you out fishing and boating in the beautiful Bay of Plenty. In the early 1930’s a man called Jerry Williams owned a small vessel, the Omokoroa. Local people started pressuring him to take them out on fishing trips, and it soon became apparent that a purpose-built charter boat would be ideal for fishing trips and to also take over the barging work which was very necessary on the harbour in those days. The RATAHI was commissioned and built by the O’Rourke brothers in Auckland. 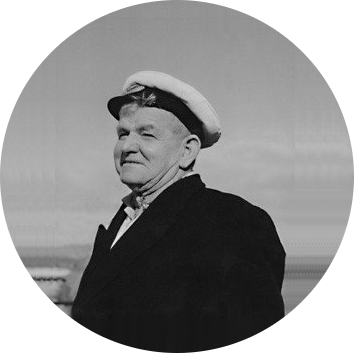 She was launched in 1938 and has been working on the harbour and taking people out fishing and to Mayor Island ever since. 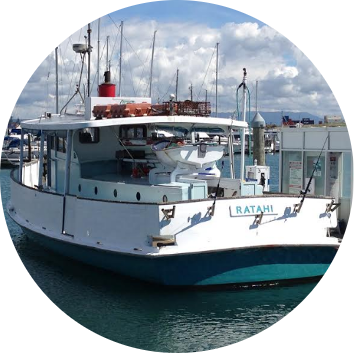 The RATAHI (15M) is Tauranga’s first charter boat. 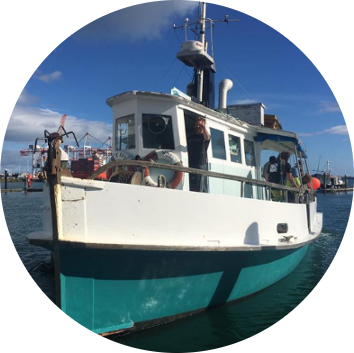 She was built by Jerry Williams, specifically for running line-fishing trips out of Tauranga and Mount Maunganui and has been doing these trips regularly ever since. Recently upgraded, she now has more home comforts, a roomy wheelhouse and yet the same old-fashioned charm she has always been known for. A great half or full day out with the family, friends, work mates – she has seating right around the boat, solid bulwarks, and protection over half the vessel from the elements. 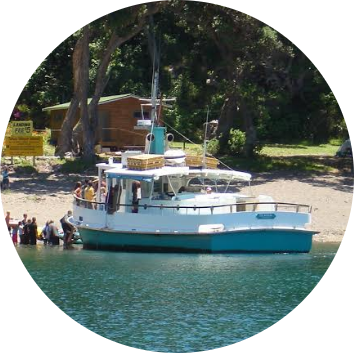 In 1978 the Te Kuia was commisioned and remains running the fishing and Island services to this day. She is one of the most popular charter fishing vessels in Tauranga, comfortable and well built of solid kauri, with extensive seating areas, a huge back cabin, a convenient galley and a large BBQ. She caters for individuals on public day reef fishing trips and charter groups of up to 35 people, and is also set up to do overnight trips for up to 11 people with full sized comfortable bunks, specialising in overnight reef fishing around Motiti and overnight hapuka fishing around Mayor Island.